Nik Collection is a powerful suite of plug-ins that work especially well with Photoshop and offer terrific value for money – even if you only use Silver Efex Pro 2. The seven Adobe Photoshop and Lightroom Classic CC plug-ins that make up Nik Collection were first introduced by Nik Software, and were very popular. In September 2012, Google bought Nik Software to get hold of the Snapseed mobile app. 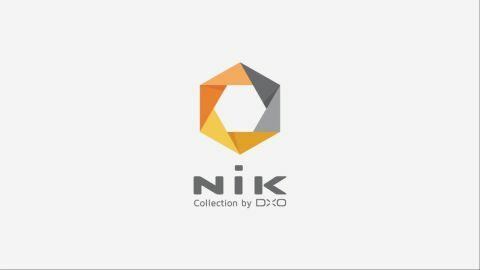 Then, in early 2016, it announced that Nik Collection would be made available for free download. Initially, some photographers thought this was good news, but the software had become increasingly buggy and in spring 2017 it was confirmed that it would not be developed any further. There was better news in October 2017 when DxO bought Nik Collection from Google. The company then spent several months ironing out all the issues that had developed and it recently announced that it’s compatible with the current versions of Adobe’s software, including Photoshop, Elements and Lightroom – you can get lots of free Lightroom presets, but the Nik Collection can take your images a whole lot further. Further good news is that DxO itself has navigated a way out of its widely reported financial problems, so the software looks to have a rosier future. So, let’s take a look at how it shapes up in 2019. Of the seven plug-ins, Silver Efex Pro 2 is probably the best known and most widely used. It’s for converting colour images into monochrome and it enables you to recreate the appearance of traditional films. The other software packages include: Analog Efex Pro 2, which recreates the results created by old cameras, lenses and film; Color Efex Pro 4, which has a collection of colour correction and creative filter effects that can be layered on top of each other; Dfine 2, which is for noise reduction; HDR Efex Pro 2 for creating HDR images; Sharpener Pro 3 for image sharpening; and Viveza 2 for making colour and tone adjustments. It’s possible to use the plug-ins as standalone software, but they are more powerful when used with Photoshop because the effect is applied as a layer (except for HDR Efex Pro 2) and you can use a layer mask to apply it selectively. With HDR Efex Pro 2, the treatment can be applied as a Smart Filter and then (theoretically) re-edited, however, we found this aspect very prone to crashing. The Preset Library offers a starting point, with the controls on the right allowing you to tailor the appearance of the image and create your own presets for future use. By default, when you open an image in Adobe Photoshop after Nik Collection is installed, a box appears with each package listed and ready for use. If the box isn’t visible, the plug-ins can be activated via Filter> Nik Collection. In Lightroom, with the exception of HDR Efex Pro 2, you need to select a photo, then the ‘Edit in’ option and pick the software you want to use. Because Lightroom can’t work with layers, HDR Efex Pro 2 is accessed by right-clicking (Ctrl-click) and selecting Export> HDR Efex Pro 2. Silver Efex Pro 2, Analog Efex Pro 2, HDR Efex Pro 2 and Color Efex Pro 4 work in a similar way, with a selection of preset effects being selectable on the left of the screen and the editing controls on the right. Helpfully, you can edit the presets and save your own. Dfine 2, Sharpener Pro 3 and Viveza 2 don’t have the preset options on the left, but the controls, including the Control Points that allow local adjustments, are on the right. It’s easy to make local adjustments to images using Nik Collection’s Control Points. Once the option to create a Control Point has been selected, you just need to click on the image in the area you want to adjust. This point needs to be selected carefully, however, as the adjustment will only be applied to areas that match the selection. If you click on the blue of a sky, for example, only the blues will be adjusted, and any clouds will remain unaffected. The parameters available for control varies depending upon the plug-in in use. With Silver Efex Pro 2, for instance, there are sliding controls to adjust the brightness, contrast, structure, whites, blacks, fine structure and selective colourisation. Helpfully, the Control Points can be moved, duplicated and edited. With the exception of Viveza 2, there’s an extensive array of controls available with each plug-in. In some cases, there are arrows that can be selected to reveal more controls. Most of these are easy-to-use siding controls with boxes to allow numerical changes if you prefer. Crucially, the preview image refreshes quickly to show the impact of any adjustments for easy comparison. Again with the exception of HDR Efex Pro 2, once you’ve finished making the adjustments with the plug-in in Photoshop, you can apply the effect globally by clicking OK in the bottom right of the screen or by clicking on the nearby Brush button. The OK option applies the treatment as a layer but using the Brush method automatically creates a layer mask. There are selectable controls to paint in or erase the effect, and using this in tandem with Photoshop’s brush controls means you can adjust the opacity of the effect as you go. In Lightroom, however, you can only apply the final effect globally. Given the ease with which you can make selective adjustments in Photoshop, Camera Raw or Lightroom, we can’t really see a compelling reason to use Viveza 2. However, the other six plug-ins in this collection have quite a lot to offer. Silver Efex Pro 2 and Analog Efex Pro 2 are both especially useful, with Analog Efex Pro 2 resembling Instagram on steroids. Presets and sliding controls make the Nik Collection easy to use, but it’s a sophisticated package. Seven plug-ins for £59 is terrific value and there’s something for most types of photographer. The ability to apply the many effects as layers is the icing on the cake. There’s lots of control over the results, so you can create exactly what you want.